This week for inquiry, our must do was to create a poem. We had four poems to chose from, a Cinquain poem, a Diamonte poem, a Limerick poem, and a Haiku poem. 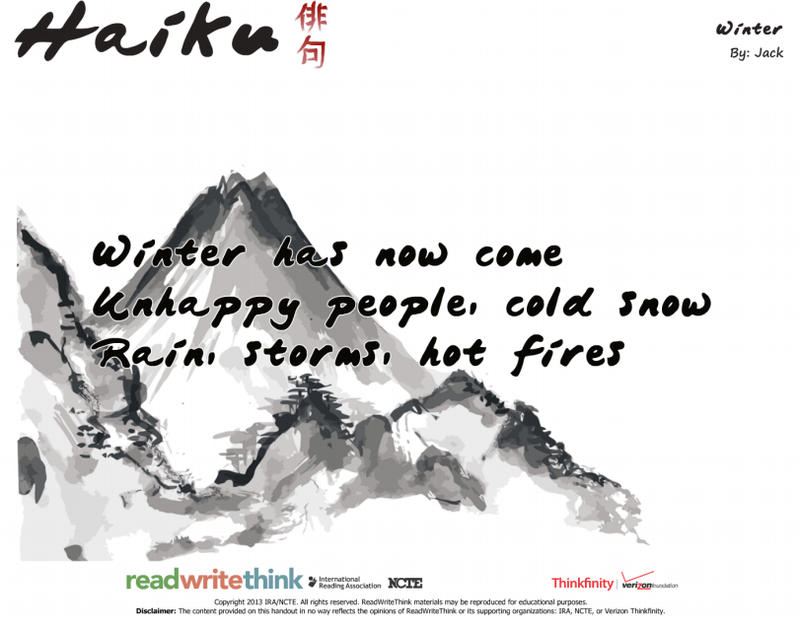 My choice was a Haiku, a Haiku is a poem made up of 3 lines. They always have the pattern of the first line having 5 syllables, the second having 7 syllables, and the third having 5 syllables. For our poem, we needed to write about a season. The season I chose was Winter, and we also needed a feeling in the poem, mine being unhappy for all the rain and storms.